We provide Rapid Mixer Granulator with excellent mixing and consistent granulation is achieved along with higher productivity. Safe operation and easy thorough cleaning facility improves product quality and achieves lower operating cost. Better mixing and close control of granule size leads to faster tableting speeds with improved quality and least rejections. 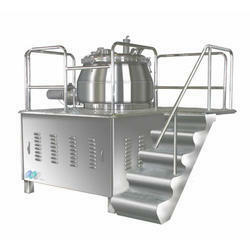 Looking for Rapid Mixer Granulator ?